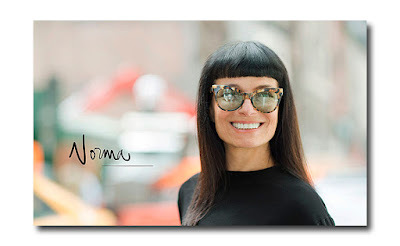 Norma Kamali is an inventor and an innovator, and has seemingly been one step ahead of everyone else. 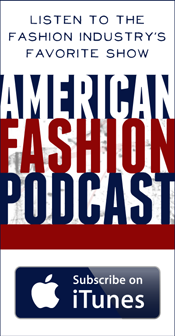 The definition of modern, she has always been on the cutting edge, applying new technology to fashion. She was inducted into the 2002 Fashion Walk of Fame by the Fashion Center Business Improvement Center, and has been honored with countless honors and awards. Among them: the Council of Fashion Designers Award (1983) for outstanding women's fashion designs for 1982; the Council of Fashion Designers of America (CFDA) Award in recognition of her innovative use of video in the presentation and promotion of fashion (1985); the Distinguished Architecture Award from the New York Chapter of the American Institute of Architects (1986); the Business Outreach Award from the Manhattan Chamber of Commerce (2001); the Special Tribute Award by the Board of Directors of the Council of Fashion Designers of America (2005). In 2010, Norma was presented with an Honorary Doctorate Degree in Fine Arts from FIT and was honored as one of WWD’s “100 Designers Who Shaped Fashion. She was inducted into the Coty Hall of Fame (1983), and received a Coty Award for Women’s Fashion Design in 1982, and prior to that, (in 1981) she received a Coty Award for her Sweatshirt Collection design innovation. 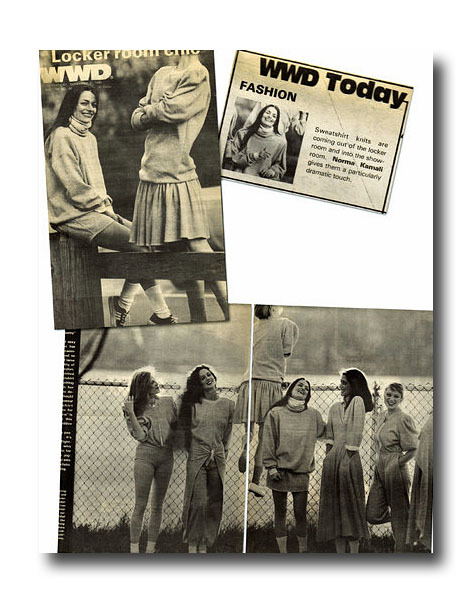 She is known as the Queen of Sweatshirts, having been the first to elevate this lowly locker room staple to high fashion in the late 70’s. So, it’s hardly surprising that she’s taken the sweatshirt’s material (and color), and used it to create what has to be THE smartest, most practical, most versatile, and most affordable LBD on the planet. Really, isn’t that precisely the kind of thing most of us are always on the lookout for? Great design at a price that won’t insult our intelligence! The reversible Grace dress is divinely shaped (fitted waist and gored skirt) and perfectly seamed (with a right below the knee length many women can wear). Its material (95% cotton, 5% spandex) makes it practical, easy to care for, perfect for packing, and truly season less (you can actually wear it summer, fall, winter, spring). 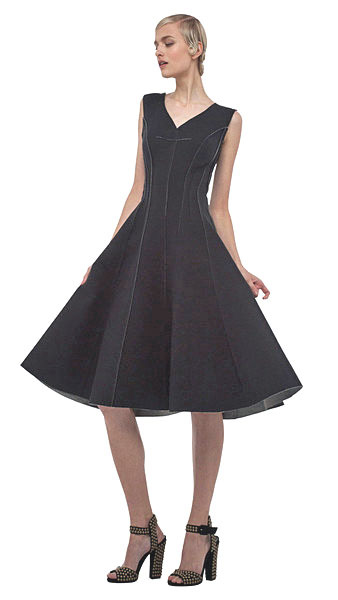 It was designed to be completely reversible in two of the chicest colors possible (dark grey and black), which means that you’re actually getting two dresses in one). AND, with its $375 price tag, Norma is ensuring that more than just a handful of women can actually afford it . 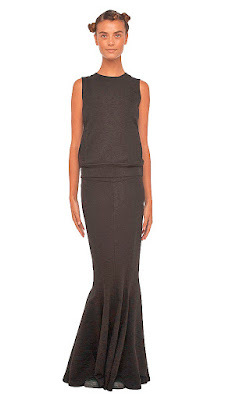 It is part of the Norma Kamail Sweats Collection rendered in black, grey (and a bit of off white). Prices range from about $140 - $445 and it runs the gamut from sporty basics (such as a sleeveless sweatshirt, a jog pant, an oversized turtleneck tunic, a hooded zip front jacket, and a hooded cargo jacket) to couture like eveningwear, such as the long black fishtail skirt, $190, the heather grey Grecian Goddess worthy Shirred Teaser Half Calf dress and the Harem Jumpsuit, both $195. In addition to Sweats, the website features Swim, Active, KamaliKulture, Special Collection, and Wellness with items that range from her always stellar outerwear, such as the iconic narrow bellted knee length coat in ripstop nylon, $600 (her sleeping bag coat cannot be improved upon), to a collection of fringed separates in black & white. And of course, you can always stop by her store, located at 11 West 56 street, 212 957 9797. 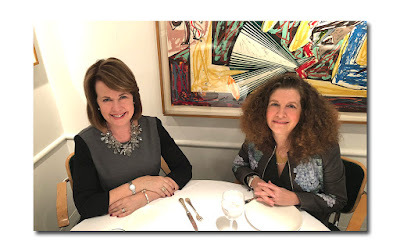 And by the way, speaking of Wellness (the section on her website that features products made with olive oil), Norma has said that the one constant in her life has been olive oil. "It's God's gift to our planet. Not only does olive oil nourish, it has an extraordinary ability to enhance life, increase the quality of it, and most likely, extend it". You could do a lot worse than to follow Norma's advice, considering that at 68, she is truly ageless!